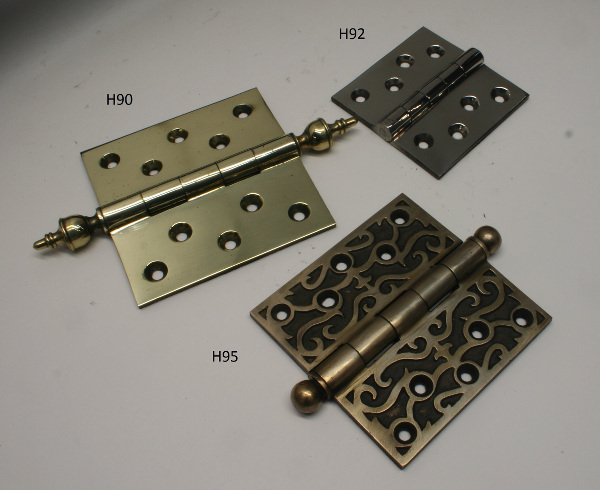 Above Hinges are Available in Brass, Bronze, White Bronze, and Nickel Plated. Standard Hinge are 4″ X 4″. However fabricated steel and stainless steel hinges can be made any size.